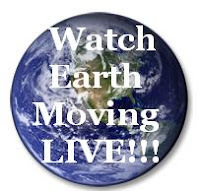 I was amazed when I saw the earth moving LIVE first time on my computer, the earth moving speed is very slow, you will see it moving only when you completely focus on your computer browser screen else you may not find it moving. You can see the entire solar system moving in real time. This is nice NASA's aircraft for every computer user. Steps to view earth moving LIVE. 2. Click 'Explore the Solar System' button on the page in right hand side. = If Java plugin is not installed or not enabled then you will get prompt to fix it first. 4. This will launch in pop window with all the options, settings. - Close all open applications if possible as NASA's earth live online software consume high (70%-80%) CPU.